Without question, all of the British fishing industry considers the discard ban to be an unworkable disaster for our fish stocks and industry. What is all this nonsense about altering nets to prevent discards? What planet is Fisheries management on, do they not understand that no such net exists nor ever could? Small boats in this area each catch up to 3t of herring by-catch a day when drift netting for cod using 6” mesh, all of which are dumped because there is no market for them. Do they not understand that all fishermen have been trying to reduce discards for decades as they cause much higher workloads and costs for no benefit? Or are they suggesting all mesh sizes be increased by 100% and catch nothing? Stupid comments like this prove just how painfully ignorant fisheries management is. In the early days, all of the industry supported a discard ban for obvious reasons, it wasn’t until the CFP announced how they intended to implement this ridiculous and unworkable system that the alarm bells started ringing. So much for the reformed CFP, clearly it has not been reformed at all and they have learnt nothing in the last thirty-odd years about conservation or the fishing industry. On the subject of the under-tens getting the first 100t and 10% of any uplift in quota, perhaps Mr Portus should remember the fact that if the UK quota had been shared out correctly in the first place, the under-tens would have received their fair share from day one and the sector boats would have received around 20% less quota than they have over the last eight years. 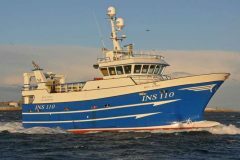 The only reason the English inshore fleet is getting this extra uplift in quota, is due to the continuous efforts of NUTFA and LIFE day-in-day-out over many years, fighting for the inshore fleet. So I hope the under-tens recognise this and support these organisations. The fact is that although we can continue to squabble amongst ourselves, fighting for our corner, which is fully understandable under this ridiculous demersal quota system, it is the system itself we ALL need to concentrate on to get changed. As they say, it doesn’t matter how much you polish a turd, it will always be a turd. UK/EU Fisheries Management and the Greens need to be made to understand by everyone in the industry that not only are these fantasy conservation policies a direct threat to this industry, but also to our fish stocks, as under the intended discard system tonnes more fish will be unnecessarily killed every day. Obviously, quotas are the ideal conservation measure for pelagic species as these are not mixed fisheries and I understand the only reason we have quotas on demersal species is because the industry was asked in the early days of the CFP if they would prefer quotas or days at sea as a conservation measure for demersal species, and the industry voted for quotas. 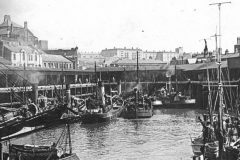 This was not because they have ever been recognised as a suitable conservation measure for mixed fisheries, but because, at the time, quotas could be fiddled easily whereas days at sea could not – you can’t say your boat is in a harbour when it is not, as you don’t know who has or has not seen it. This is not because fishermen are greedy individuals who wish to destroy our fish stocks, but due to the industry never having any trust in uneducated fisheries management or scientific stock assessments, and to their unprofessional conduct and appalling track record over so many decades. Fisheries conservation and management is not brain surgery; with a little common sense and practical input it can be very simple and cost affective. Days at sea to replace all quotas on demersal species – I realise this will sound alarm bells with some in the industry, but if implemented correctly, it would be a very workable effective conservation measure that would suit management, the industry, the Greens and most importantly protect our fish stocks. The main concern is obviously boats getting enough days, so there would need to be minimum cap set, which could never be reduced below under any circumstances. Before the industry signed up, there must not be any fishermen losing out during such a massive change over. 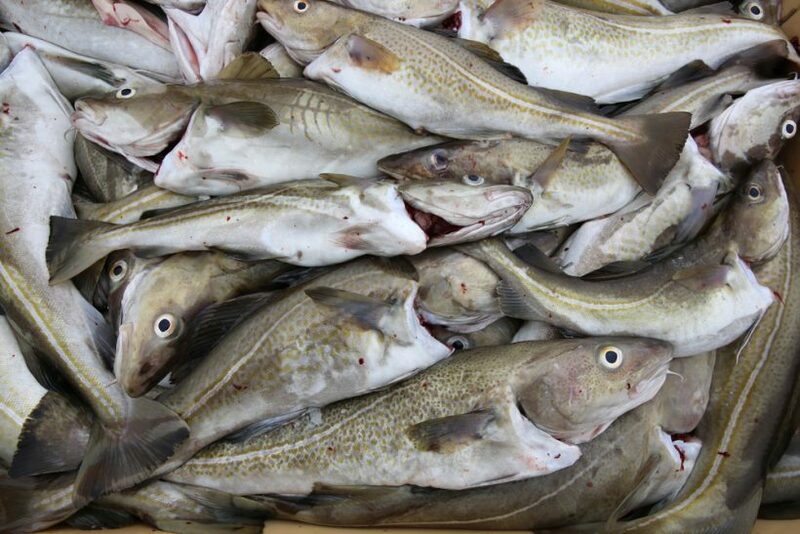 All days allocated based on type and size of boats and gear used – skippers who have invested in extra quota are swapped extra days in exchange for that quota, as an example: 1t cod = three days, so they do not suffer any financial loss. Seafish categorise all types of boats and fishing gear used by the industry, and days are allocated accordingly. As in, more harmful forms of fishing receive fewer days than less harmful. However, a simple appeal process for exceptional circumstances to help the industry catch less immature fish with gear development must follow this. Skippers that change over to improved gear with less discards are allocated extra days, so the industry is encouraged to use it, but not penalised for not changing gear if they choose not to, as if this is the case there will be a good reason why. All boats land all their sizable catch and return all undersized fish to grow for the next year. I also believe there is a lot of scope for finding ways to allow immature fish to recover from being caught before returning them. When I was trawling, I would often revive Dover soles caught in shallow water in a tub of water with a deck wash and then throw them back over the bow instead of the stern, so the birds didn’t get every one – as they do. This very simple act saved the lives of around a hundred soles a trip by just one boat (before any uneducated people say raise the mesh size so you don’t catch the small fish, this cannot be done as you would also lose a high percentage of sizeable fish, making it unviable). Closed areas based on multiples of one month for areas/types of fishing, such as spawning areas and the Channel midwater bass fishery, has been so damaging to the stock over many decades. CEFAS’s role to completely change – no more going to sea trying to count fish in the wrong areas, or manipulating the figures just to gain extra funding. Only scientific advice – based on factual evidence – to be supplied by the industry, so for the first time ever management can get accurate stock info based on fact, not fiction. All full-time boats to join a PO of their choice that manages days for their members instead of quota. Part-time boats managed by fisheries management. Days traded on the open market and any unused rolled over into the next year – this would allow for the loss of days incurred at the end of the year, due to bad weather, which can then be made up for. No bans on landing any marketable fish caught – if some species need help this can effectively be done by closed box areas at given times of the year to some, or all, forms of fishing. CEFAS could soon identify these areas just by data collection and analysis. A simple workable system for boats working a number of different types of gear a day would need to be worked out. This is just one possible way forward, which I believe needs closely looking into, by fisheries management and the industry. My fear with the discard ban is, obviously everyone will continue to discard, as the ban is yet another unworkable, senseless system that will achieve nothing for conservation. Fisheries management being what they are, and as we have all witnessed so many times, will implement the law to the letter and the only way this can be done is by filling every boat up with cameras, which will have to be paid for by the industry and no boats will be permitted to sail if any cameras are not working. The industry would also have much higher workloads sorting all this fish out, and will have to pay for refrigeration/freezing, boxes, transport and landfill costs, as there is no way the meals plants could cope with, or want many species, such volumes of immature and unmarketable fish. Have no doubt, no matter what they tell us, fisheries management will have all the fine detail, of how they are going to implement this ban worked out months ago, but will only announce this in small stages in fear of starting a riot, as is standard practice when any government department is introducing a new controversial policy. Can we trust fisheries management to bring in such a system without stuffing it up in some way, as we have seen with the discard ban and so many other fantasy conservation measures imposed? All civil servants in departments that could receive cuts in budgets, would come up with every excuse under the sun why we cant have such a system, under the pretence of conservation as they will always put there budgets ahead of national, industry interests and conservation. Terrified of not micro managing the industry, as no government department has ever been known to relinquish any power for fear of reduced budgets, are you capable of letting go of the reins a little to benefit all? I would suggest, as we have all been forced into this ridiculous situation, that all UK fishermen’s organisations and PO’s put their differences aside for once and start working closely together on this subject – including the pelagic and shellfish sectors. The discard ban would undoubtedly have a huge affect on them, forcing many into their sectors, which in turn would affect prices and stocks, followed by more management interference. But the industry will have to put another conservation policy forward as a workable alternative to the discard ban, and while doing so get rid of these unworkable quotas, which are the cause of all our problems and achieve nothing for conservation. One more point to remember, the Fish Fight campaign that kicked all this off was to stop the industry from being forced to dump large marketable fish by fisheries management, it was not intended to stop fishermen from returning immature fish that have a chance of surviving, which are obviously next years wages. If the industry leaders are prepared to work together and take on such a massive challenge, which is the only chance this could be stopped, I would first suggest sending a vote of no confidence and formal letter of complaint to UK/EU fisheries management on behalf of every fisherman’s organisation in the UK. Copied to all green organisations, it would insist this intended discard ban be stopped with immediate effect, while an alternative workable system is worked out, followed by a widespread national publicity campaign highlighting to the general public how insane and unworkable this policy is and how damaging it will be to our fish stocks. Such a campaign by the industry now would also help the fast-approaching EU referendum NO campaign on leaving the EU, which obviously we all support, as the CFP could only ever be described as certifiable. I am sure this idea is far from perfect and will need a lot of work, but I hope it is of some interest and is acted upon very soon, as time is running out fast. A condensed version of this letter appeared in the November 26th issue of Fishing News. Read more from Fishing News here.